Vatican unveils Pope's Twitter account @pontifexThe Pope is to begin sending Twitter messages using the handle @pontifex as his personal account, the Vatican said. 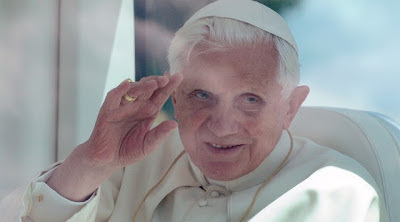 A spokesman said Pope Benedict XVI wanted to "reach out to everyone" with tweets translated into eight languages. The first tweet from his account, whose name means both pontiff and builder of bridges, is expected on 12 December. "We are going to get a spiritual message. The Pope is not going to be walking around with a Blackberry or an iPad and no-one is going to be putting words into the Pope's mouth," Greg Burke, senior media advisor to the Vatican said. All I can say to the Pope is: Happy tweeting!